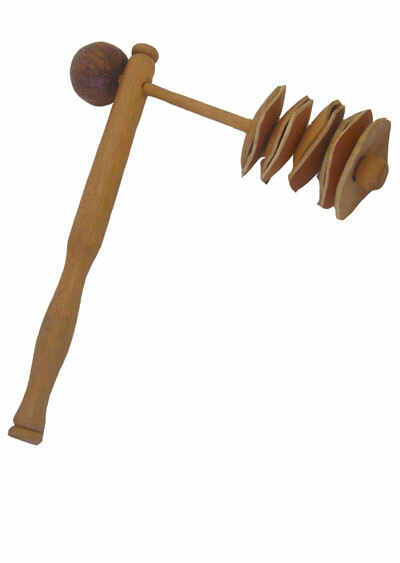 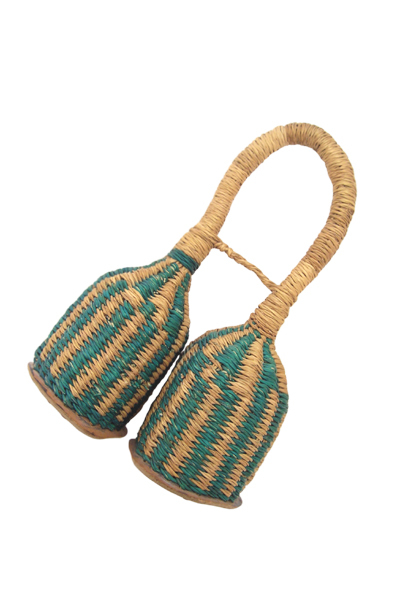 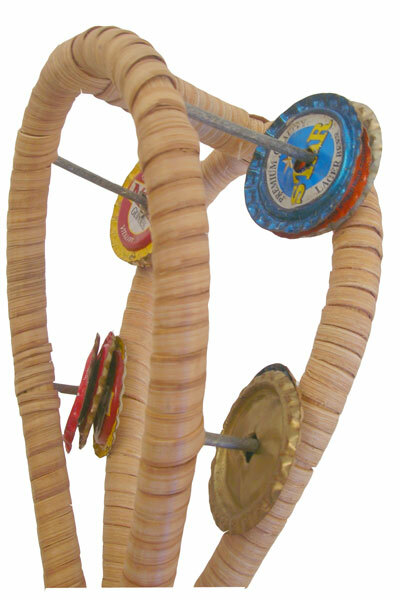 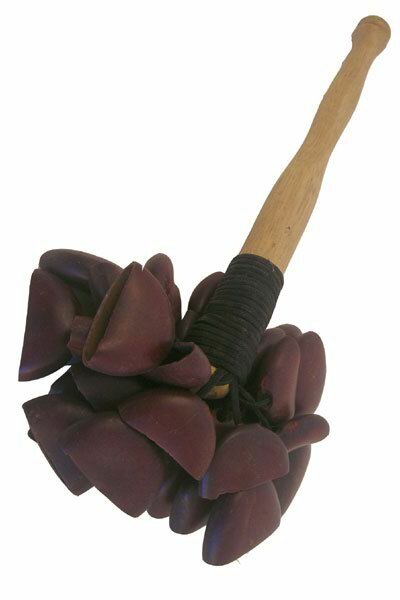 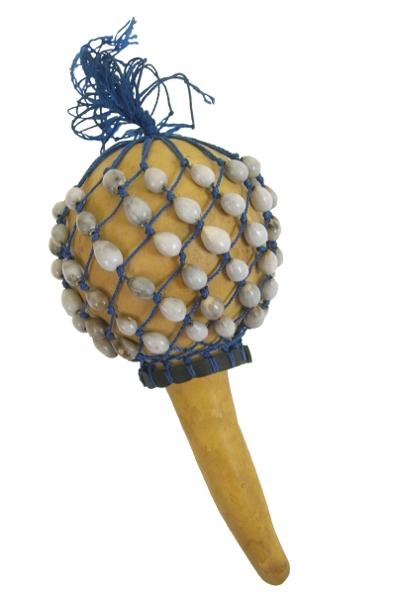 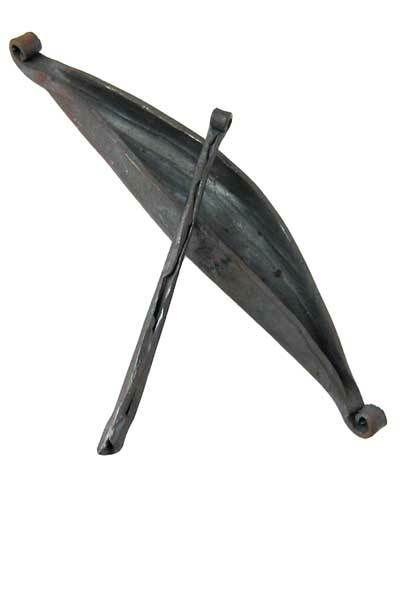 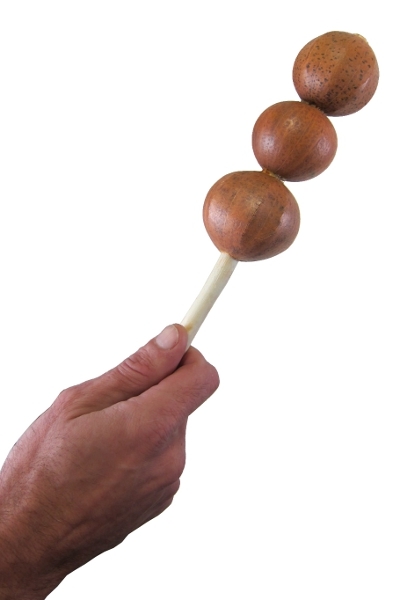 This unique African shaker has three seed pods connected on a wood handle, filled with tiny pebbles or seeds. 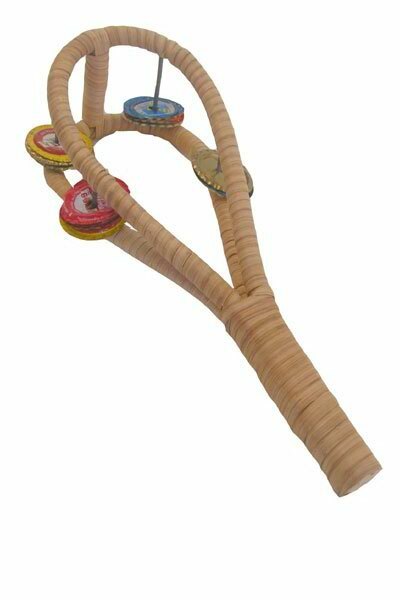 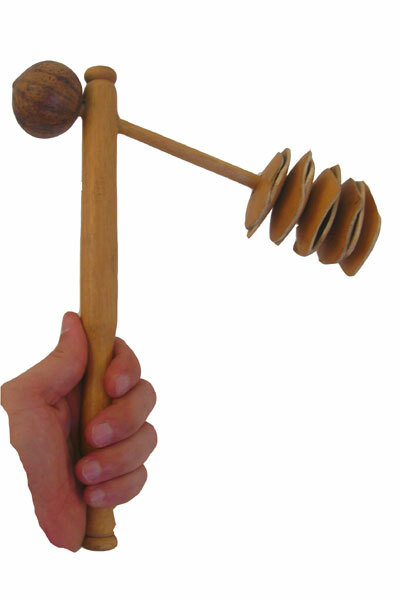 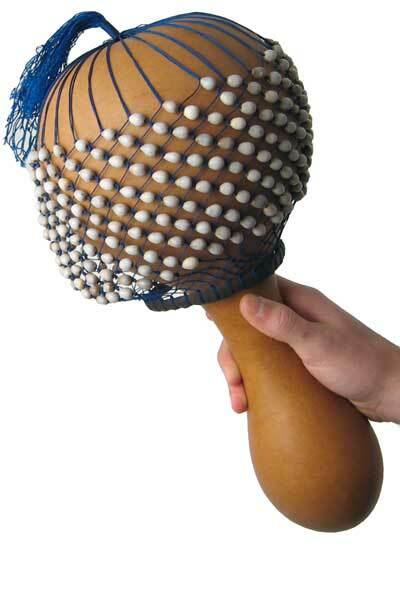 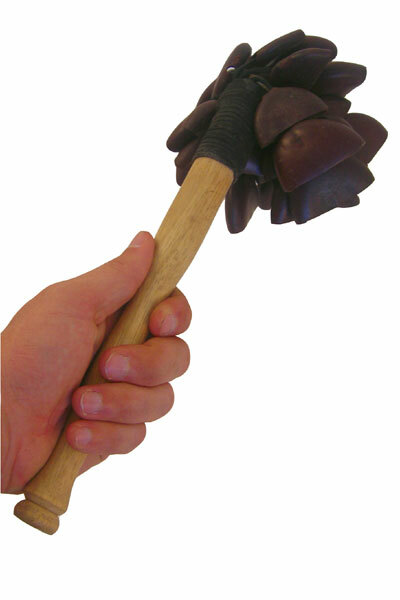 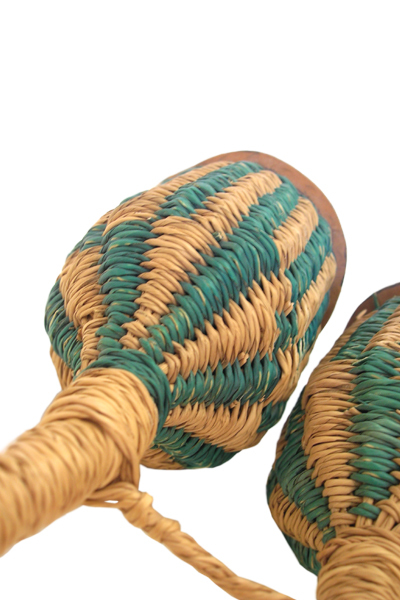 The sound is similar to an egg shaker or aslatua. 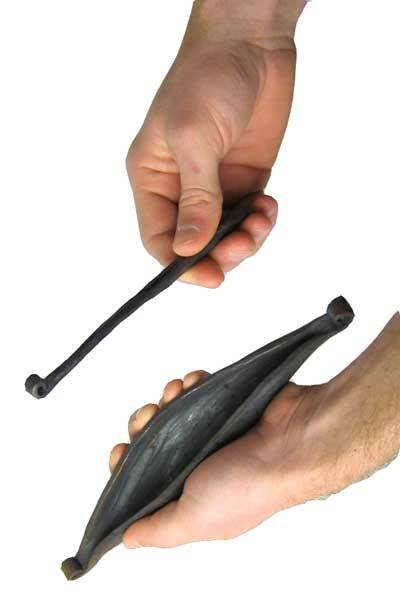 It has three 2-inch seed pods, which are dried and filled with pebbles and seeds, with a 12″ lightwood stick that serves as the handle.